BUILDConnect is a centralized job search engine utilizing individual profiles that have been created on the BUILD1x platform. When anyone in the construction industry builds a profile, it will act as their resume and make it easier to link with other professionals to find job. Their profile will then be connected to all projects the individual has worked on and reviews from past jobs are utilized to establish a favorable reputation. BUILDConnect will create a one-stop-shop for job posting and job searching, enabling the entire industry to develop relationships, connections and trust. Algorithm pairing filters are in place to facilitate quality job/employee matches based on location, job type and project timeline. 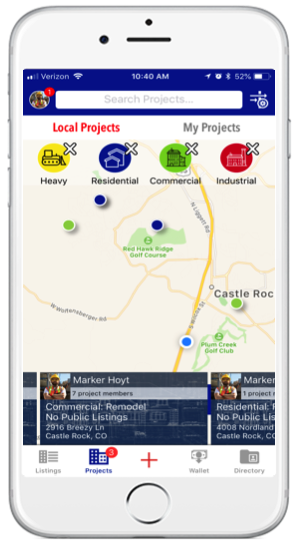 BUILDConnect will also allow for workers and contractors to have an even work-flow, by creating their schedules based on the jobs available and projects in their area. Search your local area or other locations to find your next job. Instantly communicate with the right people to get hired right now. Skilled professionals at your finger tips, in your area and when you need them.